Julien was born on the 29th of July 1990 near from Paris and he studies sport in Montpellier, in the South of France. He has always loved sports. He tried many different kind of sports (gymnastics, handball, bodybuilding and athletics) before he discovered about quidditch thanks to the team captain, Boris. 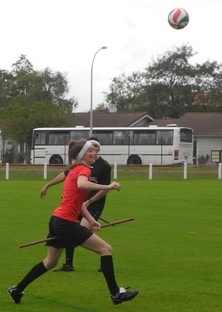 Boris described quidditch as an intense and inovative sport, gathering many different kind of sports. Julien thus joined the team and played for the first European Championship. Apart from quidditch, Julien keeps doing bodybuilding and athletics in order to be ready for the World Cup in Florida. Hélène is a beater and plays with number 6. She studies History and Politics at Paris1 - Panthéon Sorbonne. She has been a Harry Potter fan since she was a kid and when her friends Étienne and Clément told her about this sport, she immediately wanted to try it. Gathering all the most interesting aspects of rugby, handball and dodgeball. 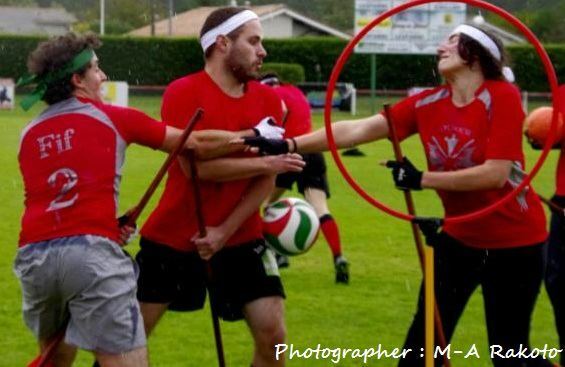 She felt in love with quidditch at once, because she has done many sports in her life (athletics, handball, judo, ice-skating...) and quidditch seems to her really interesting. 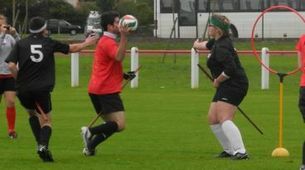 What was also decisive in her playing quidditch were the European championship and the cohesion the team shares. Emmanuel is a chaser. He learnt Sciences in high school and is now studying cinema at the Paris 3 - Sorbonne Nouvelle university. 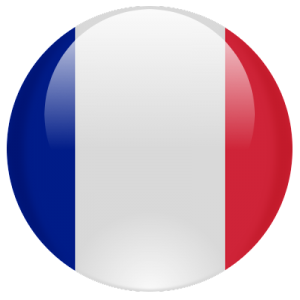 He has played volleyball for five year in a club (Paris Université Club) and at junior high school (Saint-Exupéry) and won two bronze medals at French championships. Emmanuel was introduced to quidditch by his brother Gabriel Matherat and his friend Corwin Falfus.